Mario Badescu Night Cream Review (2018): Is It Worth Buying? What Is Mario Badescu Revitalin Night Cream? 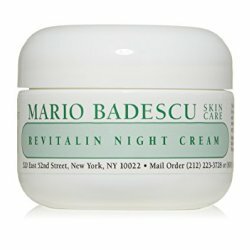 Mario Badescu Revitalin Night Cream, US $40 for a 1 oz. jar, is a moisturizing Night cream specifically formulated for dry to very dry skin types formulated to restore nutrients and moisture required to keep skin well hydrated overnight. This product is brought to you by Mario Badescu, a skin care brand that traces its humble beginnings offering facial spa services to New Yorkers. The brand was established in 1967 and, since then, has been creating products that cater to very specific skin requirements. Presently, Mario Badescu has grown to become a leading global label when it comes to innovative skin care. 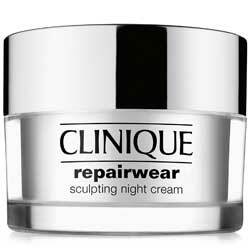 Mario Badescu Revitalin Night Cream — Does It Really Work? Soften your skin and smoothen the surface layer. Enhance skin rejuvenation and renewal . Support your skin’s natural mechanisms in re-texturizing and re-structuring your skin. Restore, rebuild, and strengthen your protective barrier function, making your skin more resilient to factors that age and damage it. Replenish your skin’s lost moisture and nutrient levels. What Are The Ingredients In Mario Badescu Revitalin Night Cream ? Vitamin E: Deeply nourishes your skin, it helps calm skin from irritations and other forms of inflammation, as well as serve a protective antioxidant function. Collagen: Supports the restoration of your skin’s ideal elasticity level and firmness. Vitamin A: This and its derivatives remain to be the gold standard for anti-wrinkle care, and also delivers the added benefit of inhibiting melanin formation which, in turn, lightens hyper pigmented spots on your skin and promoting a brighter complexion as well. Beeswax: Supports the restoration of your skin’s moisture barrier, it also delivers even more hydration to rest on your skin. Mario Badescu Night Cream must be generously applied on dry skin every night on freshly cleansed and toned skin. Mario Badescu Night Cream not only restores your skin’s moisture but also its ideal hydration functions. 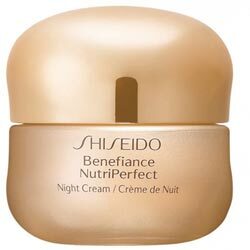 This product is fairly priced, certainly not cheap but, not expensive when compared to similar overnight creams. The formula may bring on a smell that may possibly turn you off. Mario Badescu Revitalin Night Cream reviews indicate that this product may not perform well as an anti-aging product although it will moisturize your skin well. Does Mario Badescu Revitalin Night Cream Have Any Side Effects? Skin irritation and allergic reactions due to several ingredients, including retinol. Increased risk for hormonal fluctuations due to parabens. Mario Badescu Revitalin Night Cream definitely appears perfectly capable of delivering intense moisture and hydration to soothe dry skin. 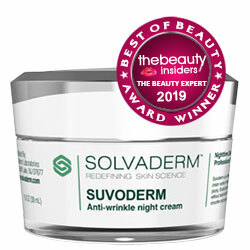 However, this product certainly does not seem capable of delivering drastic corrective functions to wrinkled skin although retinol is still in there. And it’s also stated that retinol can make your skin fragile!